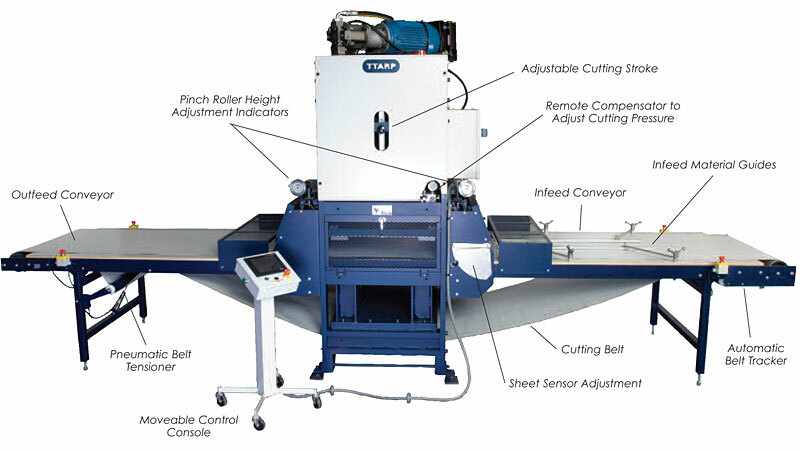 Ttarp die cutting presses are available with various performance features shown in the photo above as well as options and accessories to provide you with fabricating equipment designed to meet your needs. Contact us if you have a specific challenge or application requirements. Click here to request pricing or additional information.